Gear Review: Call Jackson Hole Packraft and Packraft Rentals Anywhere for a Great Time on the Water! 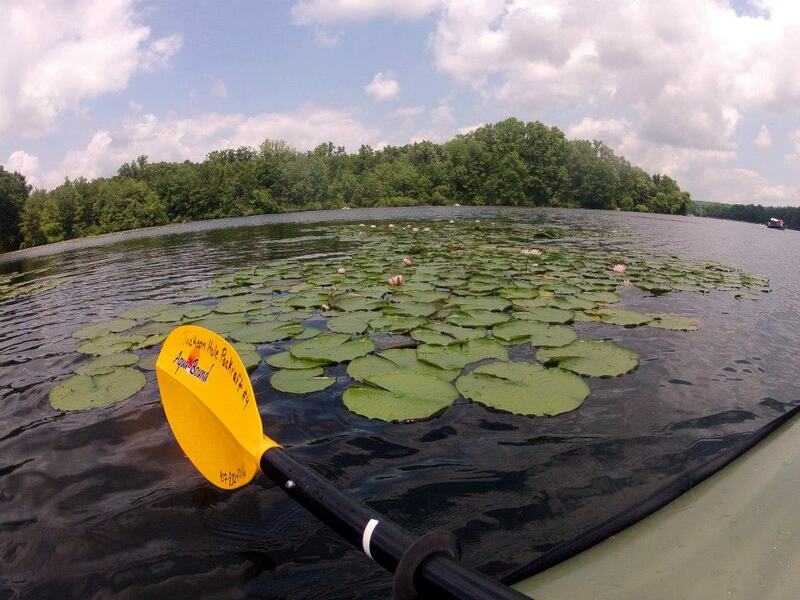 Navigating Lake Harmony at French Creek State Park in PA. Imagine, you're staring at a map of uncharted, trail-less land with towering mountains dotting the landscape and rivers cutting through the vast, remote space. How is it possible to get deep into the backcountry quickly without established walking routes and without a helicopter at your disposal? 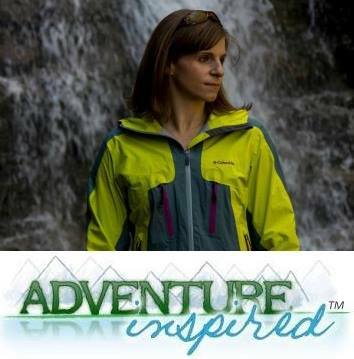 Amy Hatch, who we met almost three weeks ago here on Adventure-Inspired, might have the perfect solution for you. During our hour-long discussion, Amy passionately described a pursuit she didn't discover until moving to Alaska - packrafting. "It took a few years of living [in Alaska] and hearing friends' stories before I finally got a chance to try it out. As soon as I did, I was hooked." Amy says. "[Packrafting] very much parallels the draw of long distance running in that it's this very lightweight, efficient mode of travel that can take you very long distances in the backcountry in a very short amount of time." The fact that she could look at maps in an entirely new way, linking waterways to explore new territory, was mind-blowing to her. 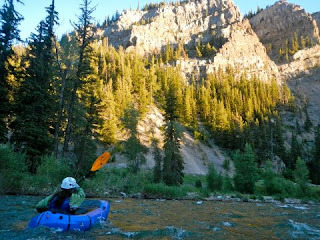 Amy in a packraft on the Hoback River in Wyoming. But when she moved to Jackson, Wyoming, she was surprised to find that the niche activity hadn't achieved the same popularity in the lower 48. Since 2011, Amy's been working to change that. Through her business, Jackson Hole Packraft and Packraft Rentals Anywhere, Amy makes it simple for anyone in the country (and Canada) to have a packraft shipped right to their door. In other words, if you're not ready to shell out over $900 for a lightweight, durable boat you can take anywhere, JHP has you covered. I had the chance to try out a rental from JHP in July, and found the rental process to be a piece of cake. I scheduled my rental time period, signed a waiver and found two packrafts on my doorstep a week later. 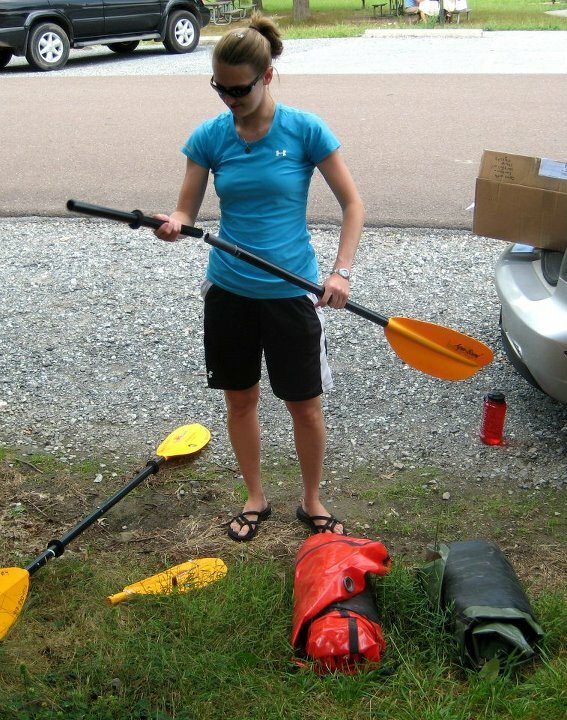 In addition to the rafts, the package included two lightweight paddles, some assembly required, a repair kit and instructions. 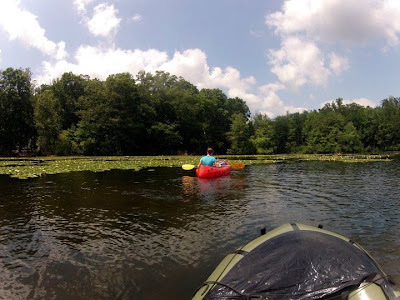 With my lack of whitewater experience and safety gear, a friend and I opted to test the rafts on the calm waters of Lake Harmony in French Creek State Park. Initially, I couldn't believe how small and lightweight the rafts were. 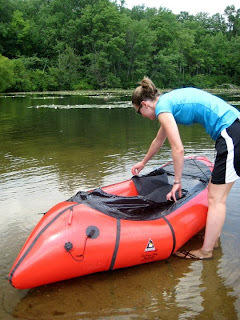 The rafts weigh less than five pounds without the spraydecks, which JHP includes with all rentals, and are about the same size as a backpacking tent when deflated and rolled. I could easily see packing a raft along on any backpacking trip, especially one with water crossings or rafting opportunities. (Massasauga Provincial Park, anyone?) I'd opted for the medium size Alpacka Yukon Yak raft, but JHP has larger sizes available as well. Though the packrafts require quite a bit of air to inflate, JHP provides nylon bags to trap large volumes of air in to make the inflation process easier. With a dozen full bags of air "pumped" into the raft, I was good to go. It took a bit of finagling to disconnect the bag without losing half of the air I'd pumped in, but the rafts come with a separate tube you can blow more air through to get it fully inflated. Though we didn't have to backpack with the rafts, having a lightweight bag as a pump is ideal for helping minimize weight. The rafts come with a removable seat and seat back, which I opted to leave in for our leisurely lake paddle. We did remove the spraydecks, which I could see being helpful for keeping gear in the boat when you're running a real river. After we put the boats in the water and jumped in, I was surprised and how even the slightest paddle stroke affected the movement of the raft. The maneuverability of the rafts is a huge advantage if you need to make quick turns. However, on flat water, it took a while for me to figure out the exact amount of oomph to put into each stroke to get the boat going in a straight line. We also floated down the lake quickly, more quickly than we would have in a heavier vessel, which was great until we had to turn around and paddle back to the parking lot! After we got home, I let the boats dry overnight before repacking them for shipment back to JHP. I'd suggest building in an extra day to any rental to make sure you have time to dry out the boats. It also took some work to get them packed back into the box they'd come in. (Amy, if I ever have to move again, you're helping me pack. The rafts were expertly fit into the box when they arrived.) I'd received a prepaid FedEx return label to make getting the boats back to JHP easy. 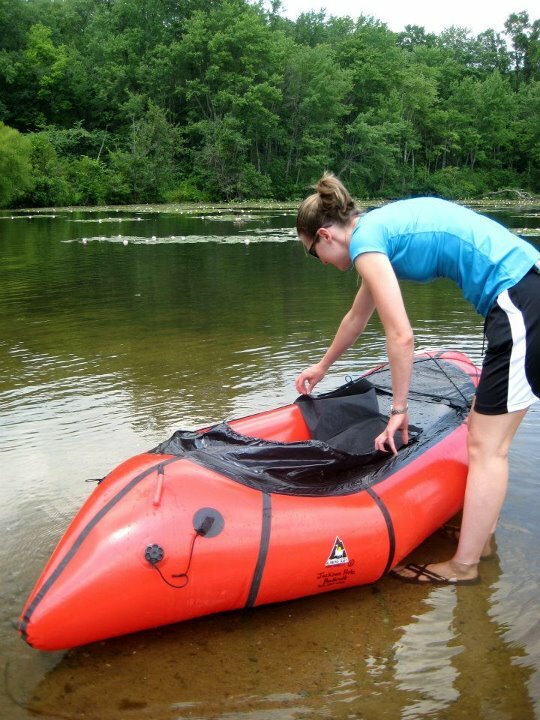 The bottom line: Packrafts are ideal for everything from paddling around a lake to running a serious river, and with JHP's easy rental process, there's no excuse not to try one out. There truly are so many uses for the crafts, and they're so easy to carry around with you! And if you do decide to rent a packraft, Amy has a mini-guide to trips around Jackson Hole on the JHP website There are also forums for trips around the country on http://www.packrafting.org. Happy rafting! Have you tried packrafting? Want to, but haven't yet? Leave a comment, and be sure to check out JHP!